RABAT, Morocco — As he sits in a jail cell with seven other inmates, Hicham Mansouri, an investigative journalist, worries about his colleagues on the outside. For now, at least, they remain free. About a year ago, Morocco, a monarchy that cultivates a pro-democracy image, embarked on a campaign of intimidation against the press, arresting journalists and activists and even deporting foreign reporters. Mr. Mansouri’s case is one of the examples of the crackdown on opposition independent voices that emerged after the 2011 revolutions in the region emboldened democracy advocates. Critics said Mr. Mansouri’s imprisonment illustrates the perilous state of the news media in Morocco, one of the most stable countries in North Africa and the Middle East and one of America’s closest allies in the war on terrorism. King Mohammed VI took the throne in 1999 on the death of his father. The authorities are cracking down on journalists and opposition figures, forbidding human rights associations to gather and threatening activists with criminal charges. “The conviction of Mansouri and his co-defendant is a depressing example of so much that is wrong with Morocco’s criminal justice system,” Sarah Leah Whitson, Middle East and North Africa director for Human Rights Watch, said in a statement. In a televised speech to Parliament a year ago, the interior minister, Mohamed Hassad, sent a warning, accusing human rights groups of fabricating reports to undermine the security apparatus and to destabilize the country. “Organizations that operate under the false pretexts of defending human rights continue making accusations” that are not true, he said. The democracy advocacy group Freedom House still rates Morocco poorly and categorizes it as “not free,” and Reporters Without Borders’ annual report ranks it 130th in terms of press freedom, trailing such countries as South Sudan, Mauritania and Afghanistan. The Interior Ministry and the government’s spokesman, Mustapha Khalfi, did not respond to requests for comment. Mr. Mansouri’s fears about his colleagues have already been borne out. A cybersecurity activist and journalist, Karima Nadir, was interrogated for five hours in early September as part of a defamation lawsuit filed by the Interior Ministry in May against the Moroccan Digital Rights Association. The group is accused of defaming the state after a British nonprofit, Privacy International, wrote a report based on the testimony of four Moroccans who say they were targets of cybersurveillance by the government. Much of the report was not news. It merely confirmed what is common knowledge throughout Morocco: The country has been spying on Internet activists and journalists with mass surveillance programs. The report accuses the authorities of trying to plant viruses in the computer of a journalist, Ali Anouzla, who was charged with promoting terrorism after he wrote about Al Qaeda in the Islamic Maghreb, a terrorist group based in northwestern Africa. In July, when hackers exposed the clients of an Italian company called Hacking Team, which sells computer and phone surveillance software to governments, the Moroccan government was shown to have purchased services worth about 3 million euros, or $3.3 million. In 2011, a French newspaper, Le Canard Enchaîné, published an investigation revealing that Morocco had bought surveillance programs from the French cybersurveillance company Amesys, also once used by Col. Muammar el-Qaddafi of Libya to collect information on dissidents. The current president of the Digital Rights Association, Rida Benothman, a former political prisoner once held for denouncing torture, said Morocco was slipping into the same mind-set that had taken hold in countries that are fighting militants. The authorities increasingly justify mass surveillance, even if it means compromising personal freedoms, in the interest of fighting terrorism. 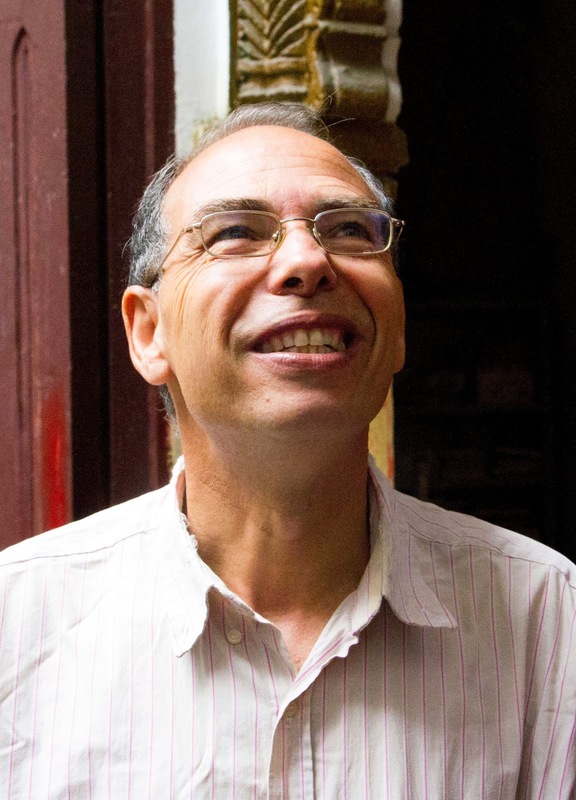 The Moroccan authorities are now bold enough to pursue reporters outside the country, too. Two French journalists are being investigated in France on charges of plotting to blackmail King Mohammed; they are accused of demanding €2 million in exchange for not publishing a book critical of him. That follows a case last year involving a mysterious hacker, “Chris Coleman,” who started leaking emails on social media that suggested that Moroccan intelligence agents had bribed and offered gifts and trips to American and French journalists. The reporters denied the allegations. But Jean Marc Manach, an investigative reporter specializing in cybersecurity, authenticated some of the leaked emails, which indicated that Morocco may have offered incentives for favorable coverage. Another cybersurveillance specialist, Olivier Laurelli, a founder of reflets.info, a site that investigates cybersurveillance, published an invoice that proved Morocco had bought the Eagle program from Amesys. While it is impossible to quantify how these surveillance solutions are used — to target criminals or to spy on the population on a large scale — Mr. Laurelli said the number of journalists and dissidents targeted could be an indicator. He said he was worried about the consequences of the increase in surveillance. That is why the journalists and activists are fighting harder. Mr. Monjib, the historian, was notified of a travel ban in late August when he landed in Casablanca on his way back from France. Other members of the investigative journalists’ group, Samad Lach and Mohamed Essabr, are not allowed to leave the country. While trying to get justice for Hicham Mansouri, Mr. Monjib tries to promote civil freedoms, and when asked if he fears the consequences of his activism, he just shrugged. “If they want to arrest me, they know where to find me,” he said.